Toronto – Early on in his set, Maceo Parker took it upon himself to set the record straight for the audience: “We do not play jazz … don’t get me wrong, I love jazz – it’s good for when you’re reading a book or washing your car.” He then went on to play a pretty spot-on approximation of the sort of music they do not play before launching into another lengthy funk number with his band. In an interview with The National Post, Maceo referred to his show as “2% jazz, 98% funky stuff.” The distinction is important, I suppose, although both forms of music celebrate virtuosity and are heavy on soloing, and Maceo Parker has been known to perform at jazz festivals, so there is also some common ground. Speaking of virtuosity and soloing, Parker and his band played quite a long set, giving them roughly two and a half hours to show off their chops. Pretty much every member of the band had their moments in the spotlight . One of the highlights was a guitar solo that (to my ears, at least) bore some similarity to the theme from “Knight Rider.” Also impressive was the drummer, Maceo’s nephew and son of his brother (and fellow James Brown alumnus) Melvin. Maceo’s son is in the band too, contributing backing vocals (sample vocal line: “Funkety funk” – seriously, they actually sang that) and some lead vocal turns. He was pretty good, but I’ve gotta say, he looked a little schlubby in comparison to the rest of the band. Dude, everyone else is wearing suits – if you’re not gonna tuck your shirt in, at least wear a jacket or a vest. Seeing any performer of a certain age who does not come out of the rock band tradition, you realize what it is to see a real old school performer and entertainer. 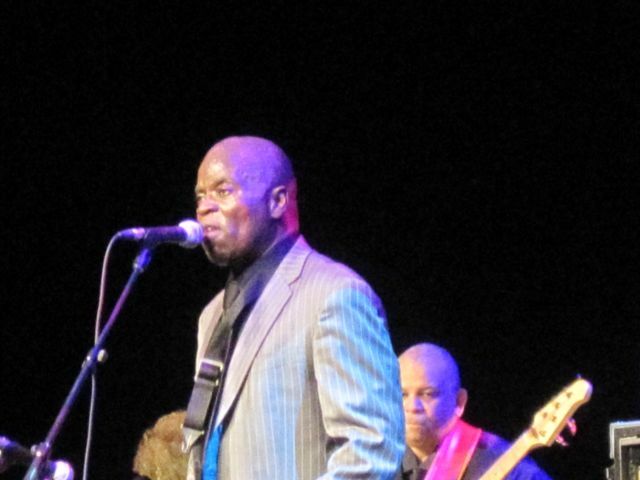 Maceo Parker has been performing for over 40 years, and he probably learned a lot from his years touring with James Brown. When not playing or singing, he did a bit of dancing around onstage and at one point ventured into the crowd and even sat down in an empty seat while still playing. He also busted out a couple bars of “O Canada” on the flute to play up to the crowd. His interactions with the audience were probably rehearsed schtick, lines that he’s used at show after show, and he did go on a bit too long in telling the audience over and over again, “We. Love. You,” but while it could get a bit corny, it’s a welcome change from seeing some band of 20something hipsters trying to act cool onstage. I’ll take Maceo over Nathan Williams any day. Toronto – Between the Raveonettes, Efterklang and Alphabeat, once could argue that Danish indie pop music is on a definite rise. You can add Alcoholic Faith Mission to that list. A quintet (why is there six in their press picture?! whose the extra mystery person?) met in Brooklyn and formed their mission statement in that fabled borough. Despite being from the land of Danes and.. Danish, the group now resides in Brooklyn and probably record their music in some cool loft in a restored factory. The band has had several releases already, but it was with their most recent release Let This Be The Last Night We Care that caught the eyes of the most important people on Earth – music critics. When your mustache has caught the attention of Esquire, you have clearly done something right. What does this say about the music? nothing. 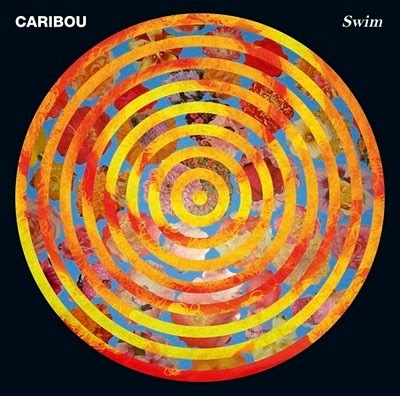 However, if you go deeper, you can say that great minds think a like and Caribou’s album was awesome and so by nature, due to the great minds theorem, the Alcoholic Faith Mission EP will be great as well. 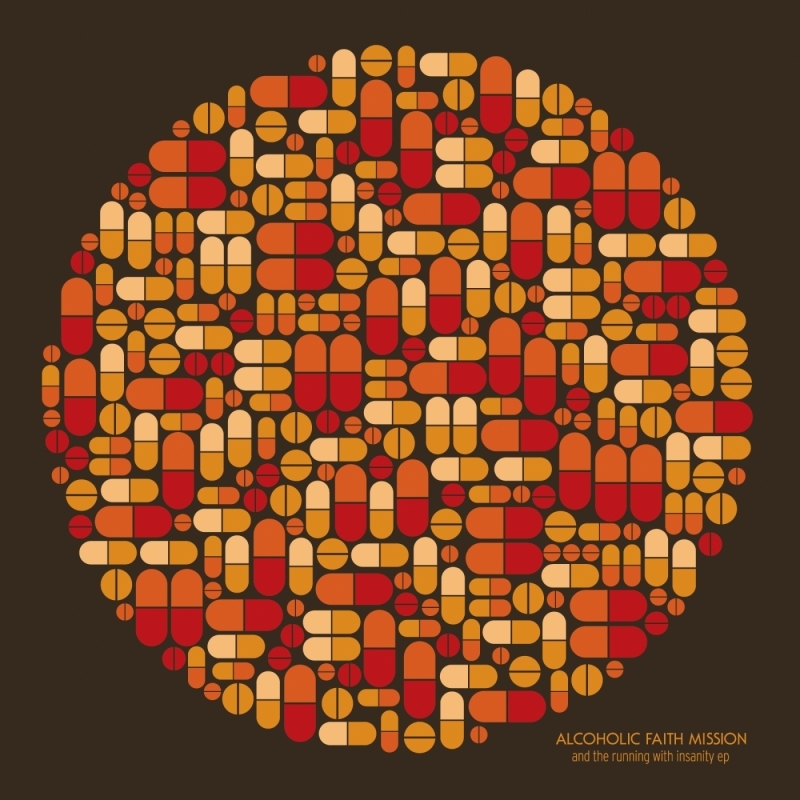 That might be thought of as lazy/creative journalism, so instead, I’ll say that from what I’ve heard of their material, Alcoholic Faith Mission is full of toe tapping, upbeat and warm music that is great for spring time listening. The winter is soon to be over, the sun is on the horizon and listening to the title track of this EP, it’s hard to think otherwise. Alcoholic Faith Mission is playing BOTH CMW and SXSW, which is awesome, since I just wrote a preview article for two events for the price of one. Yay me. Toronto – It has been well documented that the Radio Dept have never been to Toronto for a show, and there was a large buzz of anticipation amongst the sold out crowd at Lee’s Palace on Monday night as the band came to promote their new best of album Passive Aggressive: Singles 2002-2010. Having seen them in London in December, I both excited to revisit this band I love and also quite curious to see how the crowd would react to the bands live set. When you go to see a Radio Dept show, you aren’t going there to see someone jump up and down on stage, to do some call and response or to go crowd surfing. You are there to listen to the music that they have spent so much time crafting. At an average of about three years an album, you can definitely tell that Johan Duncanson, Martin Larrson and Daniel Tjader have spent many hours carefully arranging each note, chord and beat that goes into each song. With that much time, you can understand their decision to forgo a drummer and use pre-recorded backing tracks instead. Taking the stage with nothing more then a keyboard and a few guitars/bass, the trio calmly took the red dim lite stage and played a solid but short set consisting of material from their entire discography, including standalone single and show starter Freddie and the Trojan Horse. One of the beautiful things about witnessing the Radio Dept live is seeing how much they can do with so little. They seem to exist in a space where one or two chords in their song can make as much of a statement then some band who hires an entire string section. I think I knew that they were good minimal artist from their album, but it’s amplified quite a bit when you are watching three guys on stage generating the music and then you see the guitarist pluck a few chords and in your mind you are like “wow, that’s awesome”. Some might complain that their set wasn’t terribly upbeat and they did not do much to engage the crowd, other then answering one concert goer who asked why they didn’t tour more. The answer was “it’s too expensive” which seems very fitting for a band who does so much with so little. Highlights for me were Lesser Matters material Why Wont You Talk About it and Ewan, along with the lone song played off Pet Grief – The Worst Taste in Music. I think the crowd really enjoy the newer material, as Heaven on Fire was a song that got the crowd moving a bit, although minimally, which was probably fine for everyone, since we all had our jackets on and didn’t want to increase the room temperature too much. Does that make us old? I’m not sure. My only qualms about the whole experience was that the bass was terribly high for some tunes and the annoying green christmas lights that were hung across the room was a distraction at times. The band closed off with an encore of the track the City Limit and does what any good band would do, leave the crowd wanting more. Let’s just hope we’ll see them again. Chromewaves was also there, check out his review. 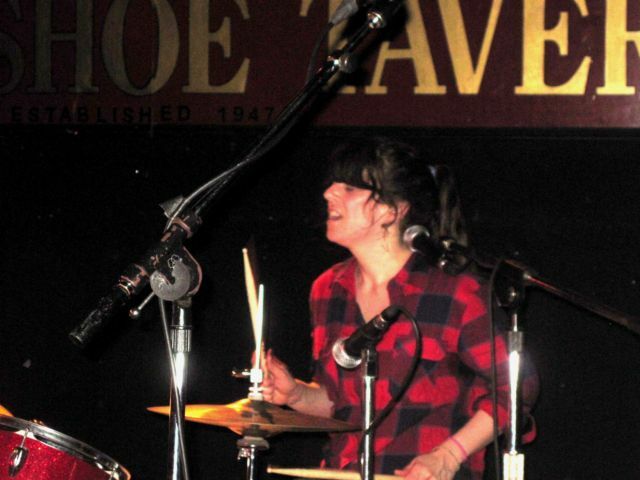 Toronto – I estimate that over the years, and including her appearances with Eric’s Trip and as part of Gord Downie’s band, I have probably seen Julie Doiron upwards of ten times. And every time, it’s a different experience and she’s usually playing with different musicians (or on her own). On this occasion, she was backed up by Wil Kidman of Constantines and Woolly Leaves fame on guitar and drums. It was a pretty loose, unstructured set (The only time I’ve seen her more loose and unstructured was when Patrick Watson made her make up a song on the spot during a workshop at The Hillside Festival a couple years ago) that basically consisted of her and Kidman making up the set as they went along. This made for moments like Doiron forgetting which song she was going to play or changing her mind about songs quickly. They also included several cover songs in the set – the Everley Bros./Gram Parsons & Emmylou Harris/Nazareth tune “Love Hurts,” Neil Young’s “Everybody Knows This Is Nowhere” (which featured Julie on the drums), and Merle Haggard’s “Reasons To Quit,” about which Julie went on at great lengths.